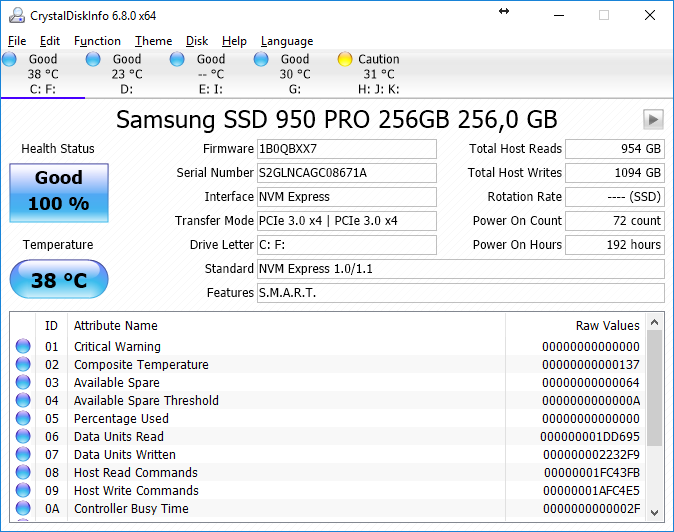 CrystalDiskInfo is a hard-disk health monitoring utility.If you need to be reassured on the health status of your hard disk, run CrystalDiskInfo and see if your computer becomes more responsive. It displays basic HDD information, monitors S. M. A. R. T. values, and disk temperature. Is it possible to request separate 64/32 packs?